Pendle offer a fantastic range of size 3 footballs for your football club. From Mitre footballs to Pendle’s own range, match balls to training balls, we’ll have the perfect ball for you. Size 3 footballs are designed for ages 6-9 so if your kids football team falls into this age range, then these will be the footballs you need. 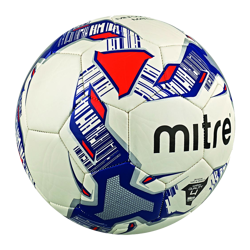 We offer a range of size 3 Mitre footballs with great savings. We also offer our own superb range of footballs, designed and sourced from the factories meaning that we are able to offer high quality footballs with huge savings on comparable quality balls. We highly recommend that you try our superb range and start saving money for your club. All footballs we stock can be despatched the same day if ordered before 2pm so what’s stopping you? Order yours today!